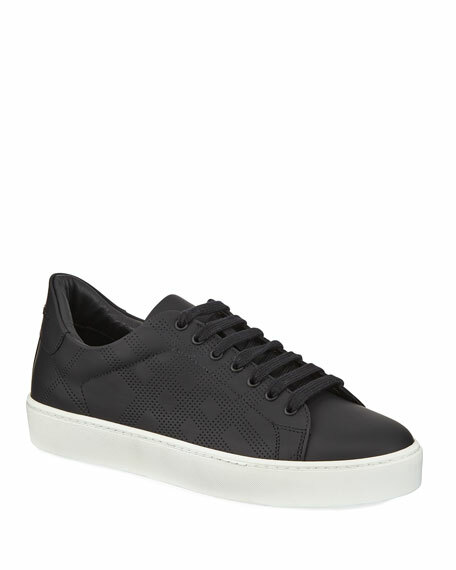 Burberry sneaker in check-effect perforated calf leather. Burberry high-top sneaker in signature check canvas with cushioned collar. Round cap toe. Lace-up vamp. Logos at tongue and heel counter. Padded footbed. Rubber outsole. "Kilbourne" is imported. Burberry vintage check sneaker with leather trim. 1" check-patterned heel. Round toe. Elastic panel at split vamp. Logo at backstay. Burberry vintage check sneaker with leather trim. 1" check-patterned heel. Round toe. Elastic panel at split vamp. Logo at backstay. Rubber outsole. Imported. 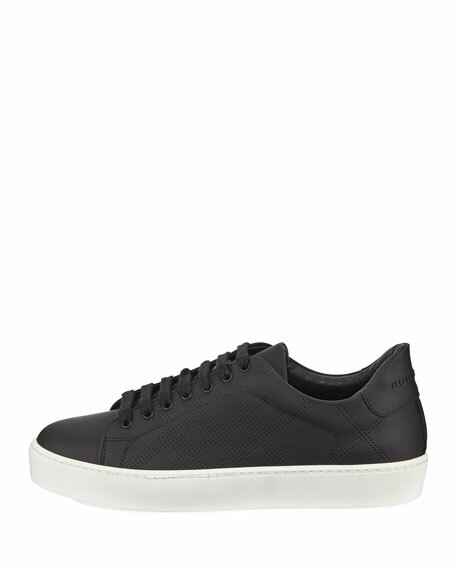 Burberry sneakers in leather, suede and grosgrain. 1" chunky heel with platform. Reinforced round toe. Logo grip strap at upper. 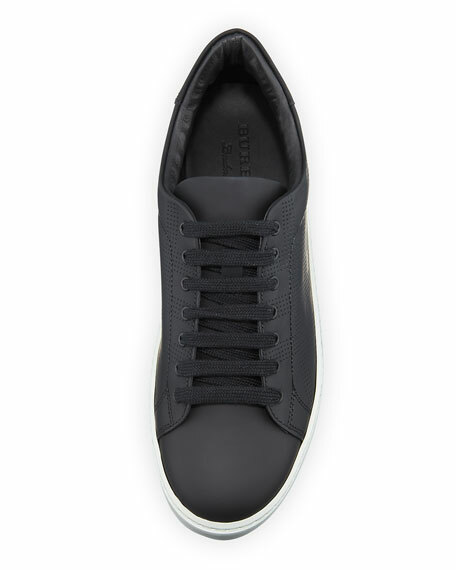 Burberry sneakers in leather, suede and grosgrain. 1" chunky heel with platform. Reinforced round toe. Logo grip strap at upper. Lace-up vamp. Leather lining. Rubber outsole. "Regis" is made in Italy. Burberry sneakers in two-tone neoprene, rubber and suede. 1" chunky wedge heel with platform. Reinforced round toe. Logo grip strap over lace-up vamp. Padded footbed. Rubber outsole. "Regis" is imported.